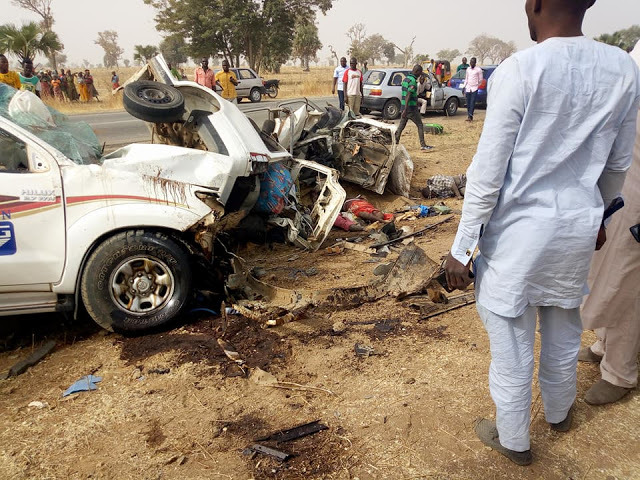 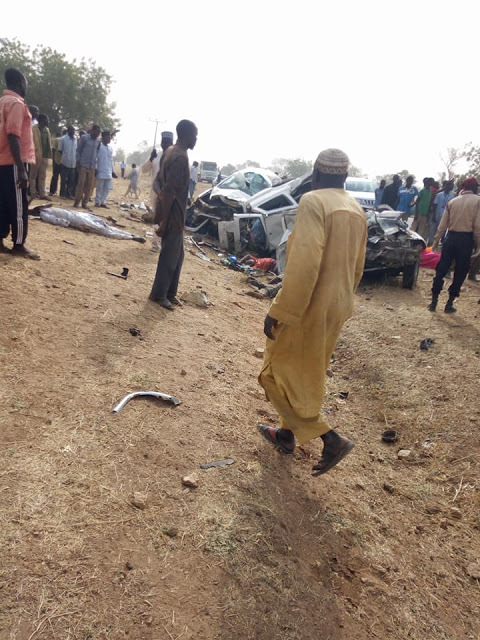 A tragic motor accident took place along Gombi Hong road in Adamawa state on Thursday which reportedly left all the passengers dead. 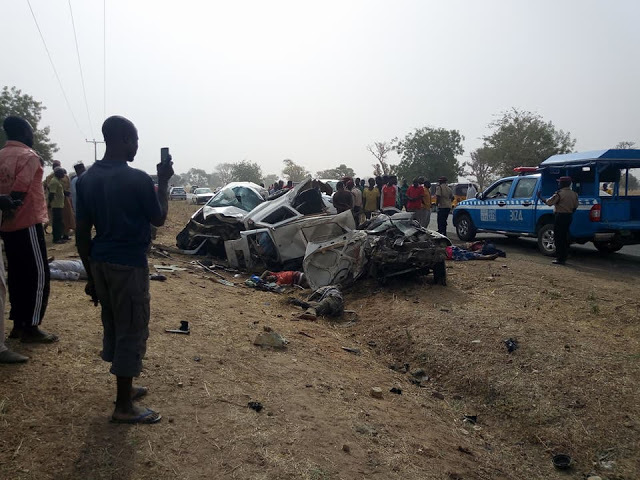 According to Facebook user identified as Solomon Lass, the fatal accident occurred after a hilux van conveying a white man and others collided with another vehicle on the highway. 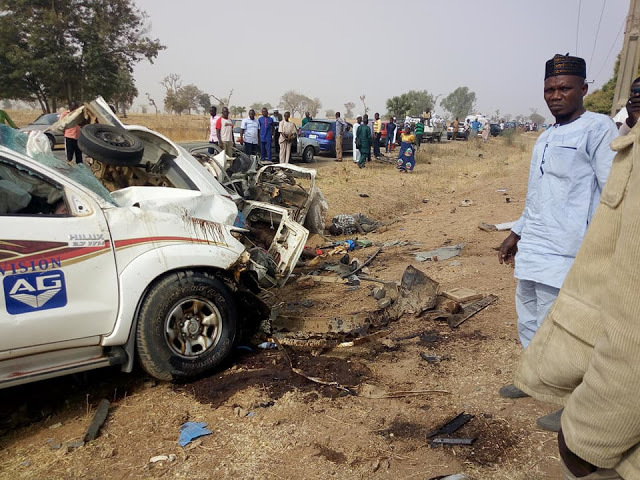 The ghastly crash killed all the passengers instantly including the foreigner.